Home / Brands / HOOK DESIGN & CO. I owe a lot of my success to my Grandma Muriel who taught me how to crochet when I was attending University in 2003. At the time, I didn't think it was that cool, but tried it and then left it for a few years while I began my career as a Junior High teacher. I then started my little family with my first daughter, our gorgeous Miss Kennady in 2010. Going through the life changes of a first-time mother, I didn't do much that year, besides learn how to be a mommy. It wasn't until I was pregnant with my second child in 2012 that I got back into crocheting. I sat a lot in my comfy green chair, pulled out my hooks and yarn and got back at it. I had a lot of trial and error projects and a lot of rejects! I then had my charming son, Stratton in August and took a few more months to practice. I finally got the hang of it and I was "HOOKED", which is the inspiration behind my company name, Hook Design & Co. which was created In March of 2013. I decided to attend local craft shows based in Grande Prairie, Alberta, to help expose my little "hobby business". With the help of Social Media; Facebook and Instagram, it has now grown into a full-time job and business for myself. I also decided to complete my family with my last child, another beautiful daughter in March of 2014, our little Blake. It was when people started coming up to me downtown , recognizing my designs and asking, "How do I get the whole LOOK of HOOK?" 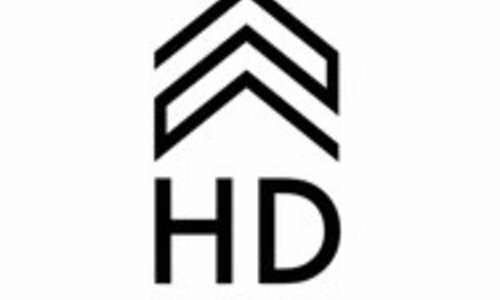 along with my passion for style and fashion made it an easy decision to expand HD&co. and now offer my handcrafted designs blended with personally selected collections of apparel/accessories to help complete my online boutique. I wanted to show EVERY busy woman out there that they can all look fabulous in an instant with the uncomplicated style of HD&co. through the simple touch of their keyboard. If it’s getting out the door to take your kids to school, off to a busy day at work or just doing your daily errands, you will now be able to look fabulous; quickly, confidently and in total style with HD&co. Since I have grown each year to where I had to hire local artisans to keep up with my demands, it was in the new year of 2017 that I decided to transition my business from local markets into the wholesale market and start selling to stores/boutiques. After a lot of research and an amazing trip to Lima, Peru is where I found an amazing company to help manufacture my handmade designs at a mass level. Green Design Link works with local Peruvian artisans throughout their beautiful county. They offer an opportunity to collaborate with Peruvian master artisans who are leaders in facilitating knowledge and skills to students throughout their communities. Green Design Link is a participant in the Community Partnership Program, where a percentage of all sales are reinvested into various trainings to the producers communities throughout Peru. I am truly honoured that I was able to go down to Peru and meet some of the individuals that will be working directly on my collections. I am excited to see where this years journey will take Hook Design & Co.